With over 14 years of graphic design experience our in house graphic designer has what it takes to get your business noticed, the logos are all custom made. Our UK Graphic Designer has produced and designed art works for major TV Series, Established Institutions and Businesses alike. We have made getting a logo simple and straightforward, all you need to decide is how many design concepts you want, once you decide just purchase online and our graphic designer will then contact you to gather all the information needed for the logo concept. Once we have this information we will put together a draft logo concept. All our logos’ are created by our in house graphic designer. All our cheap logo packages are bespoke which means they are created to your exact logo design requirements. You will find a lot of “cheap” logo designers use off the shelf and template logo’s which is not bespoke and designed to how you want it. Total Creation pride ourselves on offering full bespoke services at really affordable prices. If you have any questions please feel free to contact us, we will be happy to answer any questions you may have. Total Creation lead the way in cheap web design and now cheap logo design. We understand some companies need a brand image. Our graphic designer can help you and your business create a brand which is instantly recognisable. Our designer has experience in creating logos, leaflets, advertisements, business cards, letter heads and bespoke project such as A frames and other advertisements. All work is produced in house, we do not out source. You will receive a high quality design at a very affordable price. Contact us today for more information on how we can help you. 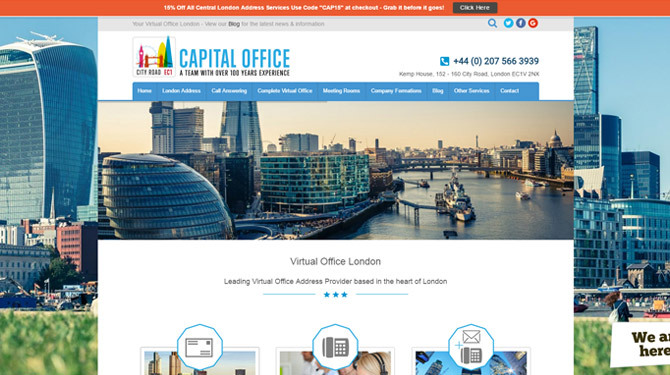 Capital Office would recommend Total Creation. We had a very specific type of design & specification needed for our new business website. Total Creation were very professional in their approach, they created a website which met and exceeded all of our expectations. We have now seen a large increase in online web sales, around a 70% increase in online transactions made through our website. Total Creation made several design revisions. They were also very quick to respond to our emails, often responding within minutes. We now have a succesful website which has really helped our business. When you purchase your Cheap Logo Design package online via our website, our in house Logo designer will get in contact with you. You will be allocated your own logo designer who will work with you on your logo making sure you get the logo you want. When you choose our Cheap Logo Design package you will only deal with one person from Total Creation Web Design, and that person is your own logo designer, this helps massively when you need to communicate design ideas to the designer directly. To begin the logo design process all you need to do is purchase one of our cheap logo design packages via our website, once you have made the payment you will receive a web design form to your email address. The form will form the base of your logo design and will guide us in creating a beautiful, modern elegant logo . Total Creation do not our source any of our work, we have everything we need all under one roof! Our experienced team are well equipped to take on all aspects of your project. If you are unsure what service you need, we will be happy to discuss the options you have. We offer Cheap Web Design, Cheap Search Engine Optimisation, Cheap Logo Design, Cheap Ready Made Websites, amongst other bespoke web design services. UK Designers based in London, No Outsourcing! Total Creation design all websites and logos in the United Kingdom. We do not outsource any of our design work. Our websites are built by leading designers in our London based studio. We are proud to build all our websites, and we are proud to say they are designed in Britain. Total Creation lead the way in website design and cheap logo design. Total Creation offer amazing services at really low prices, we help business become more successful and establish themselves in a tough market. Our websites and logos are designed to your exact requirements and we offer unlimited redesigns on most packages for your peace of mind. You will be happy you chose Total Creation to design your website and logo. We lead the way in website and logo design. Web Design. We understand that in these hard and testing times, starting a business can be very costly. We aim our services at the new start up, and small existing business, and keep our prices low by having small overheads. This gives you the ability to get online, get a brand presence for minimum outlay, helping you to maximise return on the website and increase your brand strength. Our cheap web design packages, bespoke web design services and ready made packages are ideal for getting your business online. If you need branding then use you will need to use our cheap logo design services as this will really help your business stand out from the crowd. Once you have this setup, why not think about SEO, our Cheap SEO services are aimed at getting your website found on Google, and increasing traffic and visitors to your wesbite.